Love these letters. So colorful and fun! 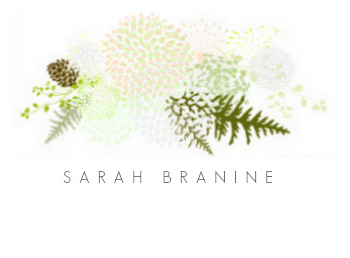 I just checked out Cranny again and am loving all your work. Looks like it is a successful as well with almost 30 sales. Congratulations! As far as the W goes... It looks good how it is, but I think I like the edges better covered with yarn. I looked at the pictures on Knack and noticed ones where it looks like you wrapped the sides and then the front. Personally I think I liked that better as it gives it a little more finished looked. Loving all your ideas these days! Felt + Yarn = Cranny Delightfulness! I can't think of a better combo! 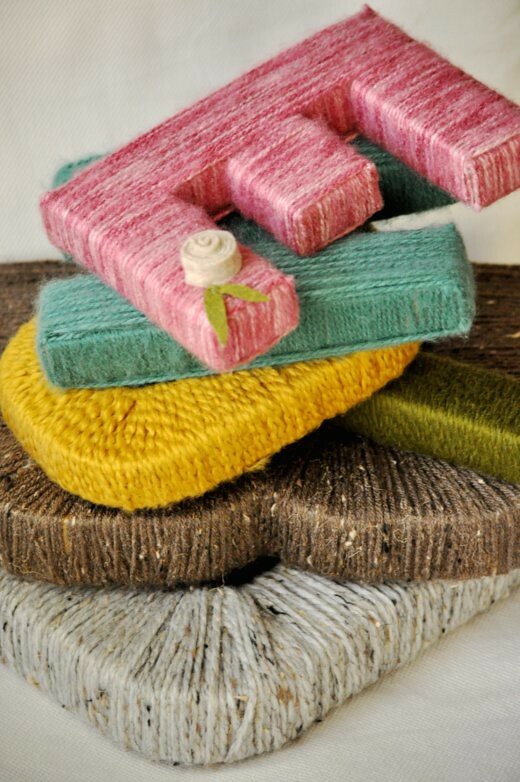 I came across your shop and love the yarn wrapped letters. 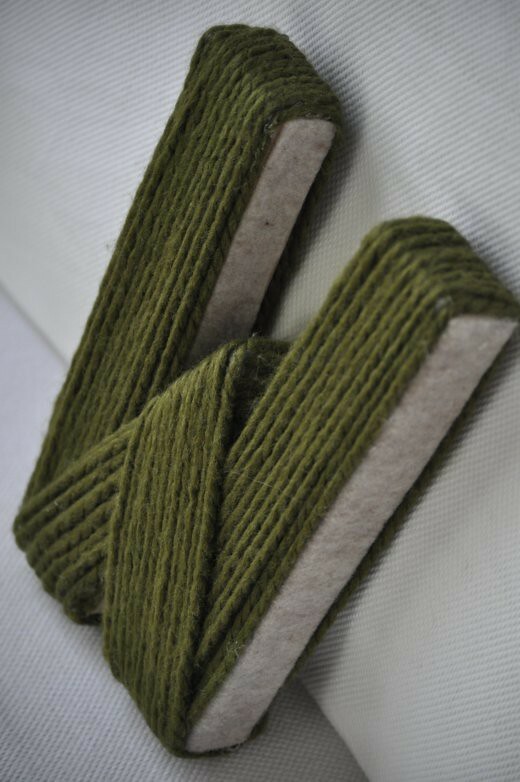 Hope you don't mind my two cents...I like the green and gray together, but I like the edges wrapped in yarn better. here is the verdict. I actually love the felt with the yarn. I don't know what it is that makes me like it, but I think it has something to do with the texture--and also, I just love that oatmeal felt with that olive green. Sooooo.... I am wondering if I would love it just the same in different colors? Maybe not? So, Laura, and Nicole-- ( and Nicole--I am so glad you popped by and shared your opinion! thanks tons! ) you all are in great company--my sister Barb and my husband just aren't sure they like the felt look. They both feel that it looks unfinished. 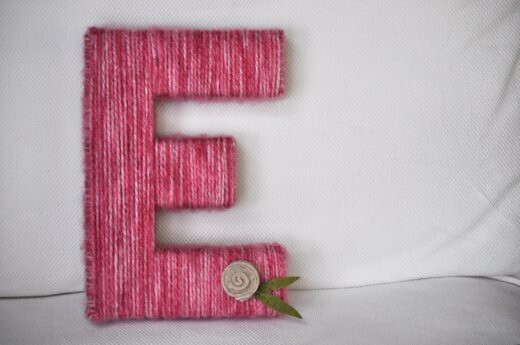 We love our pink E! Can't wait to get Ellie's shelves up so I can display it appropriately! love the felt yarn combo. it looks like the felt letter is wearing a sweater. the colors are awesome! very warm and inviting letters.